Incredible Skin Restoration without Surgery or Downtime: Discover the Power of Fractora™! No one wants to look like they are getting older. 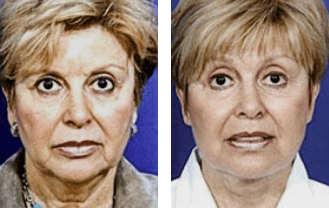 Yet whether it’s crow’s feet around the eyes, smile lines at the corners of the lips, freckles and spots from years in the sun, or simply a complexion that’s not as smooth and fresh as it once was, it’s nearly impossible to stave off the signs of the passing years. But today, we no longer have to live with an aging appearance that belies our youthful energy! Advanced energy-based treatments like Fractora™ can minimize even deepest signs of aging and environmental damage in order to restore and revitalize your youthful, naturally-beautiful skin! At Neo Surgery Center in Beverly Hills and Santa Barbara, California, double Board certified plastic surgeon Dr. Brent Moelleken now offers InMode’s powerful Fractora™ RF energy-based skin resurfacing for those patients who are seeking the same incredible results as fractional CO2 resurfacing or even incisional surgery, but who aren’t interested in long recovery times. Fractora™ RF energy skin resurfacing safely harnesses the intense power of heat to regenerate aging collagen, revitalize aging skin, and restore your healthy, youthful glow. Safe and appropriate for the face, neck, décolletage, it is ideal for patients seeking to reverse minor sun damage as well as moderate to severe lines and wrinkles. 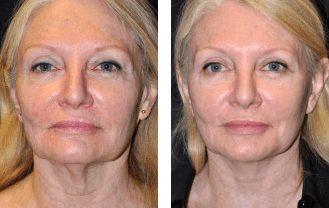 Fractionated radiofrequency (RF) energy works by precisely delivering targeted heat to resurface and restore the skin, healing sun damage, minimizing the appearance of wrinkles, and improving the tone and complexion of your skin. The Fractora™ micro-pins carefully and precisely puncture the surface of the skin in a matrix pattern, enabling the skin to absorb the energy as heat at multiple depths. The simultaneous wounding and heating of the skin helps to revitalize and regenerate collagen for powerful anti-aging results. The treatment is completely customizable, with multiple depth settings, energy levels, and matrix patterns, so whether you are concerned about superficial sun damage or deep textural concerns, we can develop a powerful treatment plan perfect for your specific needs. Fractora™ treatments are minimally-invasive and deliver the same level of powerful skin rejuvenation as fractional CO2 laser treatments and even excisional surgery but with only minimal downtime. Some patients may experience micro lesions and slight redness for several days to a week after treatment, but can use regular skin care products and makeup 1-2 days after the treatment. You will see improvement to the quality of your skin immediately, but optimal results will be visible about two weeks after the treatment and improvement will continue for up to three months. While some patients may achieve the best results with only one treatment, other patients may require a series of up to six treatments for optimal results. For more information on how Fractora™ and other InMode treatments can help you achieve the healthy skin and attractive appearance you have long been hoping for, contact Moelleken Plastic Surgery to schedule your appointment today!